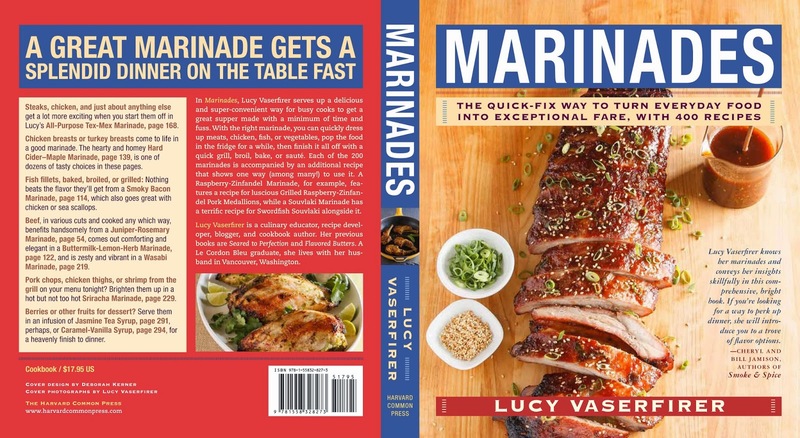 Marinades has been getting some good buzz in the press lately. Verbatim says it’s “a book that will solve all of your ‘what do I make for dinner’ worries for the next year or so”. Pen & Fork calls it one of their “Books of Summer”. Fine Cooking says, “When I say that I can make most of Lucy Vaserfirer's 200 marinades with ingredients I always have on hand at home, I mean it as a high compliment. This is the kind of utilitarian cookbook I will turn to again and again on a busy weeknight when I want to switch up the flavor of my usual grilled chicken (or pork, or steak, or fish).” BookPage calls it a “remarkable, remarkably doable compilation, a virtual ode to the liquid concoctions that make the ordinary extraordinary”. I can’t help but feel like a proud momma right now! Speaking of media mentions, Flavored Butters gets a shout-out in this Chicago Tribune article about radishes. By the way, do you know what’s on the menu for this holiday weekend? Marinades has all of the inspiration you need. Happy 4th of July, everybody!